This online course introduces electromagnetic methods (EM) used in geophysics. The online EM course does not constitute a complete course in itself; referral to references remains essential. To do so, the reader is kindly invited to take note of our selection of references, gathering fundamental papers and books. For professionals, it will be a source for reviewing EM fundamentals and seeing different domains of EM applications (Ground Penetrating Radar (GPR) in near surface geophysics, Magnetotellurics (MT) for geothermal prospection, marine Controlled Source Electromagnetics (mCSEM) for reservoir studies and detection of hydrocarbon…). Teaching staff should find it provides a means of tackling the teaching EM techniques. The purpose of reservoir characterization and modeling is the building of models representative of underground geological formations, which are then used to predict and optimize oil and gas production. An obvious statement is that the more data-consistent the models, the sounder the predictions. 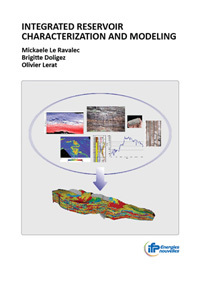 This book shows how to integrate data from a variety of sources into reservoir models. 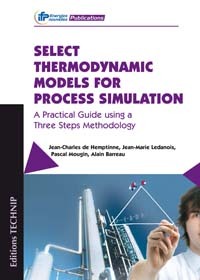 It addresses the joint integration of static and dynamic data into reservoir models as it is practiced today and as it will be practiced in the future. It looks at existing and emerging integration techniques, interdisciplinary integration, and uncertainty estimation. The ultimate purpose is to show how to incorporate all uncertainties into production forecasts. 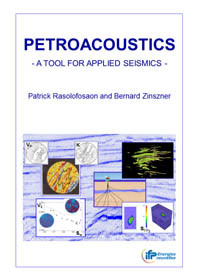 Petroacoustics, or more commonly Rock Acoustics, is the study of mechanical wave propagation in rocks. It aims to make the link between the properties of rock and their response to remote mechanical dynamic solicitation. The book where experimental data play a major role is divided into eight chapters published independently on the web. The first Chapter deals with some more or less basic notions that will be used in the following Chapters. In Chapter 2, are detailed the techniques for performing acoustic experiments on rocks in the laboratory, from the most conventional (using piezoelectric transducers) to the most recent space-age methods (as laser ultrasonics). Chapter 3 addresses the dependence of the acoustic parameters (mainly velocity and attenuation) of geomaterials on their lithologic nature and on physical parameters. Elastic anisotropy is discussed in Chapter 4 under different points of view. Chapter 5 deals with the dependence of the mechanical properties of geological media with respect to frequency, or equivalently with wavelength. Chapter 6 deals with the poroelastic description of rock behaviour, describing the elasticity of rocks considered as porous media. Chapter 7 addresses nonlinear elasticity, a pervasive characteristic of rocks. Finally, some case histories showing practical applications of each of the theories introduced in the previous Chapters are described in Chapter 8. The choice of a modelling approach is very often guided by the experience on other systems, or by the availability of parameter databases. This is acceptable in the sense that most industrial computations are based on previous cases that worked correctly. Yet, it may also be dangerous, and it is then recommended to submit the problem to a thermodynamic analysis. Our purpose is to provide a vademecum that should help the practicing engineer in finding the right questions to answer when faced with a novel type of thermodynamic problem: when the questions are correctly stated, the answer is half on its way. This on line course introduces signal processing tools currently used in geophysics. It has been elaborated both from the book "Signal processing for geologists and geophysicists" (J.L. 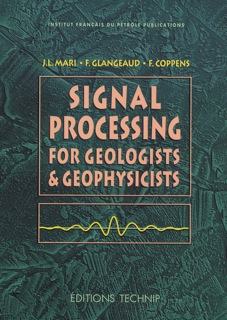 Mari, F. Glangeaud, F. Coppens, 1999) and from the CD "Signal processing in geosciences" (F. Glangeaud, J.L. Mari, 2000). 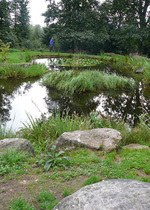 For signal processing specialists, it will be a source of how classical or new theories can be applied to field data. Teaching staff should find it provides a means of tackling the teaching signal processing techniques. The Grès d'Annot system, deposited during the late Eocene and early Oligocene (Priabonian-Rupelian) in the Tertiary foreland basin of SE France, is an important example of a confined sand-rich turbidite system, offering spectacular exposures over an area of over 5000 km2. 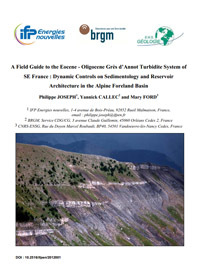 The purpose of this excursion is a study of the organization of facies and stratigraphic architecture of the different elements of the Grès d'Annot depositional system.